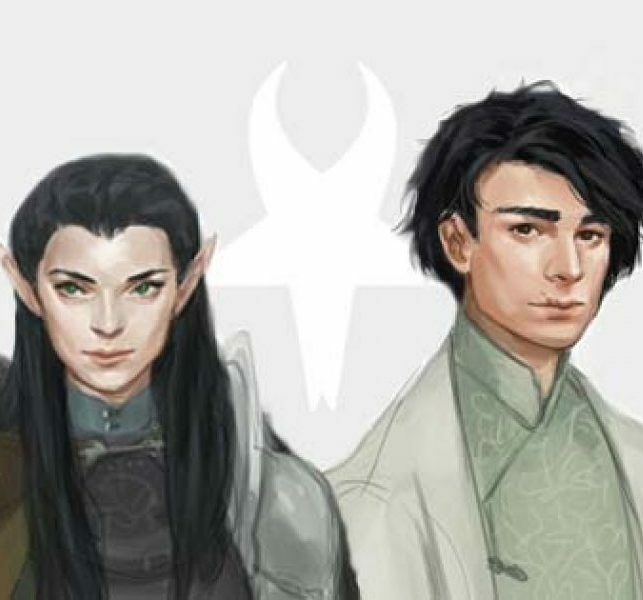 Bellaydin and Polnygar, half-siblings from the same father, have lived for over a decade in the elven lands of Aderilund under the protection of Polnygar’s mother, Saegralanna. Enduring the hostility of Ivellios and other conservative members of the elven aristocracy, Bellaydin and Polnygar soon find themselves on the run, as a mysterious cult dedicated to the Horned God marks them both for death. Polnygar stows away on the ship of Baron Augustin Bauer, a visiting Emparian envoy. From here she journeys to Macrodonia, where she joins the archmage Aelzandar and the scribe Hebu in the pursuit of a missing magical artifact. They find themselves in Ralom, and face the treacherous Ivellios once again. Bellaydin, meanwhile, accompanies Sir Geoffrey Keslin and Kahlaf el’Laan to the lands of Emparia and Goriinchia where they are captured by the Goriinchian servants of the Horned God, led by the brothers Aonghus and Cathan Culainn. Aonghus’s daughter, Morgan, assists Bellaydin and Geoffrey’s escape to Wishapton. In Wishapton, Bellaydin meets his cousin William and the Dukes of Alariat and Oldharbour, and then endures a terrifying siege of the city as the Goriinchians bring war to the lands of Emparia. The tide is turned as the Duke of Oldharbour returns from the queen’s side with reinforcements. The battle is won… but the war is not yet over. Posted on 04/11/2017 by Aidan Hennessy. This entry was posted in Coming Soon and tagged theheirsoflydin, theslavesofthehornedgod. Bookmark the permalink.